CARDIFF, Wales -- It was no fluke that the Pumas got through to the Rugby World Cup semi-finals. The Rugby Championship, which they have been contesting since 2012, was a big factor. The tournament has levelled them out with New Zealand, Australia and South Africa, the best teams in the world and the other three sides still in contention to take the crown at Twickenham. With Daniel Hourcade's imprint, the Pumas have developed an offensive style of play like the other southern teams. They have tried harder to create at the World Cup, and it has paid off; only New Zealand have scored more points and tries than have the Pumas. But not only in that are the Argentines looking similar to the elite teams. The mindset, the management of the matches, and the efficiency are becoming traits of the Albiceleste, and those aspects were crucial to their 43-20 win against Ireland in the quarterfinals. The agony they went through against the powers of the south in the first Rugby Championship is now inflicted upon every team they face, and they build leads. It's not by chance that they have scored so many points at this World Cup. "We have grown a lot. We were stripped in 2012, and then we began to build. Obviously, this takes time and hard work, and that is what we have been doing ever since. Competing with these teams, with the best, requires a level of perfection to which in time you get used to and starts feeling normal," said the coach. For his part, Juan Martin Fernandez Lobbe, one of the oldest members of the team, said: "I have always said that I'd rather lose a thousand times to the All Blacks than win against other teams. When you play with the best, hence the result, because you learn from them." And said Pablo Matera, one of the stars of Argentina's win against Ireland said: "When we go forward we play like the best. We hurt all defences. Sometimes it's hard to play at the same level for the whole 80 minutes because it is a big wear. At times we have a very good game." Another aspect of this team is their humility. And it is no small thing. They don't believe they are better than others, and they respect every opponent - be it Tonga, Georgia, Ireland or their Rugby Championship rivals. You can even see their humility in the way they work. "We played good rugby, but we have a long way to go," Pumas captain Agustin Creevy said of the performance against Ireland. "We have more to give and that is what we are going for. We are not yet at the level of the three southern giants. But we will strive to get there, and this team has no limits." 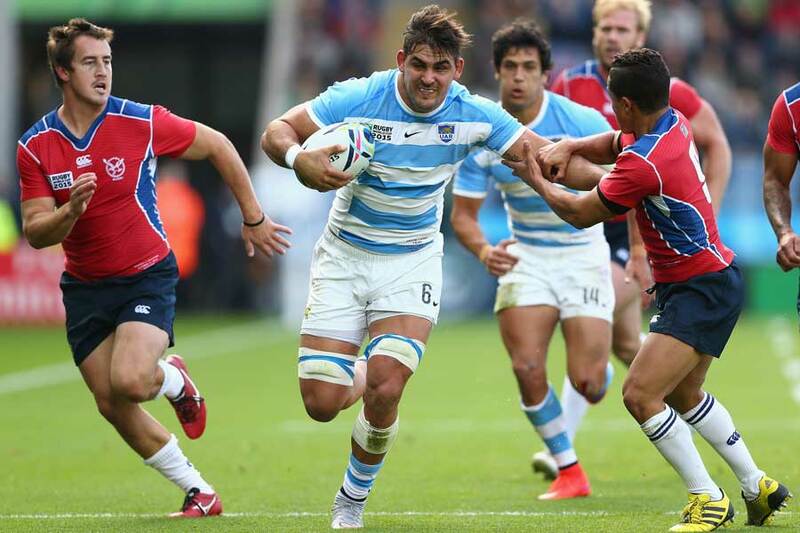 The long-term goal of the Argentine Rugby Union plan, which began in late 2008, was to fight for the World Cup title in 2019. But now, ahead of schedule, the Pumas invite us to dream in England. And why not?